The castle of Jarnioux. 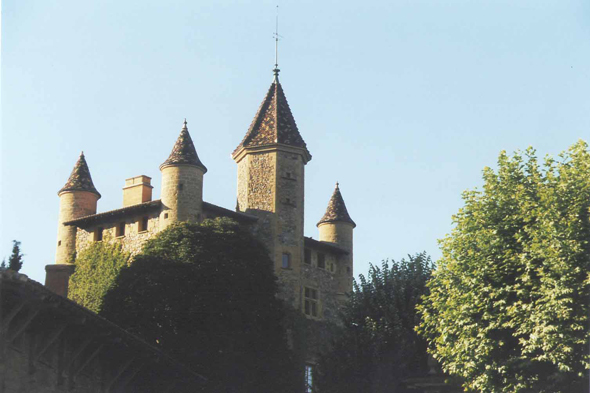 Spared by the wars, the group of buildings of the castle with six towers which dominates the village is one of most impressive of Beaujolais area. Classified historic building, it has a superb entry which leads to a drawbridge decorated with the armorial bearings of the Henry family, the deputies major of Lyon during XVIth and XVIIth centuries.